One of the most exciting things about being in college is having the opportunity and freedom to do something different. My name is Catherine, and I am an international exchange student from Ulster University, Northern Ireland. Through this student-run advice column, I want to help anyone who is considering studying abroad in the future by sharing my experiences over the next few months. I have the privilege of studying at Western Connecticut State University this year through the ISEP program (International Student Exchange Program). If someone had asked me this time last year if I would be studying in America, I would have probably laughed in their face. The thought of graduating at the age of twenty-one and then venturing out into the big, bad world was too much to bear, so I began to look into alternative ways to extend my time being a student. Studying abroad quickly became an option once I began speaking with students who had taken the same path. Tip I: Location is key when considering studying abroad. From what I understand, many international students spend their time traveling around their chosen exchange country of study. Since arriving nearly two months ago, one of the most frequent questions I have been asked is, “Why did you come to WCSU?” The answer? Western is a fantastic university with a large selection of media courses for my major. However, it does help that Connecticut state has been a good location for traveling. After being lucky enough to travel to the United States on two past occasions, I knew I wanted to explore more of the East Coast. When thinking about your international location, take into consideration the country’s climate, language barriers, and travel expenses. When traveling to Connecticut, I was able to get a direct flight from Dublin to Hartford, saving me a lot of stress and money. It may not be possible to get to your chosen location in one flight, so if that is the case for you, I suggest leaving enough time for connecting flights, figure out train/bus links ahead of time, and do not be afraid to ask people for help! My first two months as an ISEP student at WCSU have been two of the best months of my life. Along with other international students at the university, I have had the chance to experience American society in some of the greatest ways possible. Though to be honest, during the beginning of my international exchange, I did experience a massive culture shock. From food portions, driving on the other side of the road and adjusting to people constantly saying, “Bless you!” every time I sneezed. Sometimes, it all feels like it really is like a movie! To help adjust to your new home, make sure you research your designated country/state and reach out to people before you arrive. I made it my mission to contact as many people from Western as I could, including other international students, my housemates and The Echo, WCSU’s student-run online newspaper. I instantly felt more comfortable and confident about arriving and the fear of not knowing what was on the other side of that plane journey slowly began to fade. Make sure you get involved to help understand the culture, it’s a great opportunity to experience new things, make friends and it is also really fun. Studying abroad is a chance to do things and go places you would never be able to, were you to stay in your home country. One of my most significant involvements in American culture so far was attending the university’s Homecoming football game. Homecoming was a great chance to feel like a ‘proper American,’ though I feel that none of the international students exactly understood the rules of the game, why it was so long, or why there were so many people on the field. While I have learned so much about the American culture already, I have also had the chance to make connections with and teach other students about my roots and where I come from. Tip III: Plan your trips in advance. One of the greatest advantages to studying abroad is the places you will go. I have had the opportunity to visit New York on more than one occasion, Newport Rhode Island with the PAC (Program Activities Council) community, Washington, DC, and I am currently planning to travel to Boston and Canada. What I have learned from these experiences is that the key to a good trip is planning. One night, my fellow international students spent and I spent a few hours planning trips for us to take this semester. By simply using Google Maps, we were able to identify what close by cites and attractions interested us, as well as how long it would take for us to travel there. We even looked into websites that help with travel issues, such as comparing the prices of hotels and their cancellation policies. Many of the hotels we took into consideration offer free cancellation on room reservations, which is great when your plans are likely to change. Remember, you are a student, so it is important to manage your money, especially when on a trip. In cities like New York, it is very easy to spend a lot of money – trust me, I have been there! There are many ways to save money, including looking for cheaper food alternatives such as eating at, or ordering from diners and fast food outlets. You can also save by familiarizing yourself with public transport, rather than paying a taxi service. In big cities, it is also great to walk from location to location to better take in the environment and enjoy every second of it! Tip IV: You can study abroad, too. If the thought of studying abroad interests you, now is the time to look into it. The ISEP services have recently opened their applications and posted information about the program on their section of Western’s university website. Donna Warner, the International Services Co-ordinator for Western Connecticut State University, can help with any questions and inquiries about the programs offered. I am also here to answer any questions you may have, whether you are a student from WCSU looking to study outside of the United States, or an international student who is about to, or is considering studying abroad. 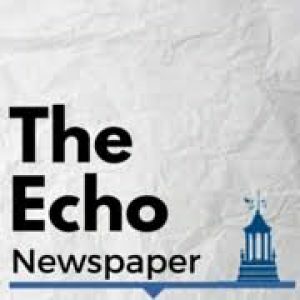 My advice articles for The Echo’s advice column will be filled with the best advice I can give about making the best of your study abroad experience, check in with me in a few weeks for some tips on packing, choosing your courses, and how my adventure progresses! Or, feel free to leave comments, questions, etc. below and I will do my best to get back to you!